W I L D B L O O M : S I X // currently. ▹ reading: women of the word. so, so good // the book of hosea with she reads truth. ▹ watching: season seven of the office // re-runs of brooklyn nine-nine. ▹ listening: grace unplugged soundtrack // and of course, t-swifts's new jam, shake it off. ▹ drinking: coffee. this surprises no one, i'm sure. ▹ creating: simplicity in all areas of my life. simple isn't boring; it's often freeing. less truly is more. ▹ anticipating: tomorrow morning. i am the new sunday school teacher for the high school class. // watching the game later. GO SOONERS! ▹ learning: if it doesn't glorify God, it's not for my good. // courage and comfort zones don't mix. // grace upon grace. ▹ wondering: where i can find a long white tee for fall. // where have all my bobby pins gone? // why am i so appealing to mosquitos? ▹ enjoying: the rain and cooler temps! // my new hair cut. i had three inches cut off! ▹ thinking: about a new blog design or re-brand. this decision has been so difficult for some reason. ▹ making my happy: the blogtember challenge! writing pen pals on cute stationery. 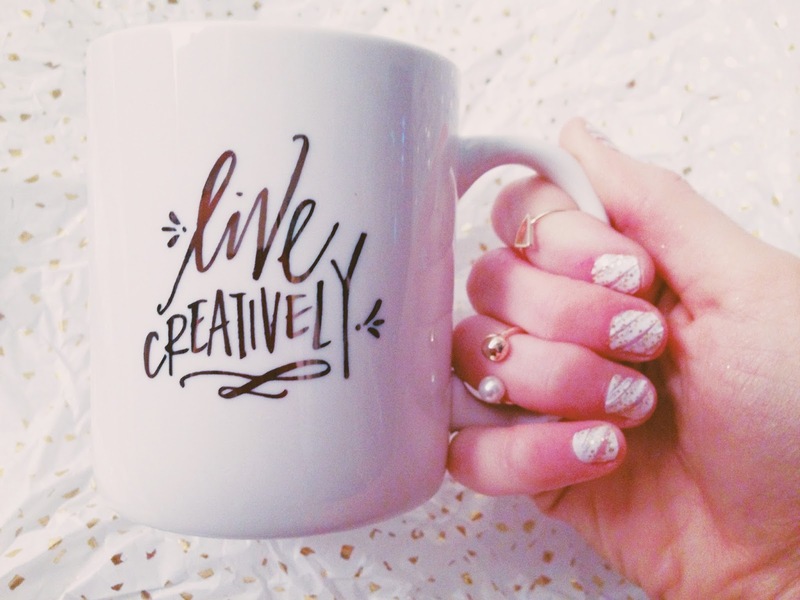 pretty nails & a new coffee mug. making lists. a productive day off. cozy sweaters. the coming of FALL and all its beautiful happenings and sights and smells and tastes and fashion.